Connecting Deputy with Clover allows you to sync timesheets, employee, and sales data between the two systems. Connecting your Deputy account to Clover will allow you to sync data across both platforms, creating an efficient workplace ecosystem. For more information about integrations, visit this help article. To connect your account, head to the Locations page and click 'Edit Settings' on location in which you would like to attach to the service. 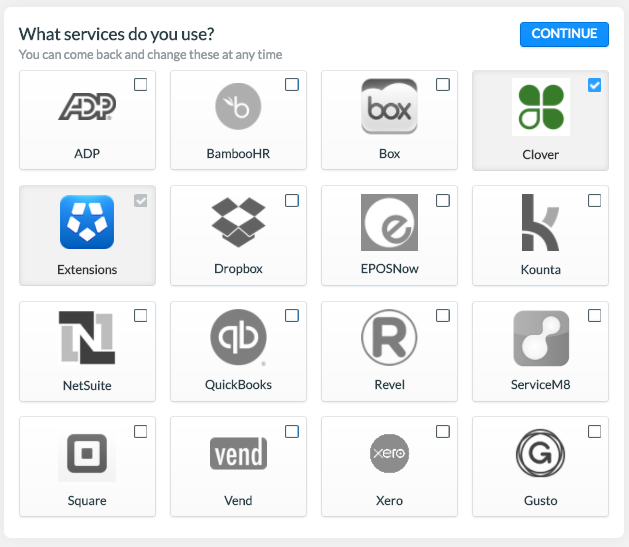 Now navigate to the Integrations tab and ensure that 'Clover' is ticked. Click continue when this is done. If you do not see this page when you click Integrations, you may already have extensions and integrations set up. If your desired service is not in the list, simply click 'Edit Services', where you will be brought to the page displayed above. In the service list, click 'Authorize' next to the service you would like to connect with. The following pop-up box will appear. To find the data to enter here, you will need to log into your Clover account. Click here for the login page. 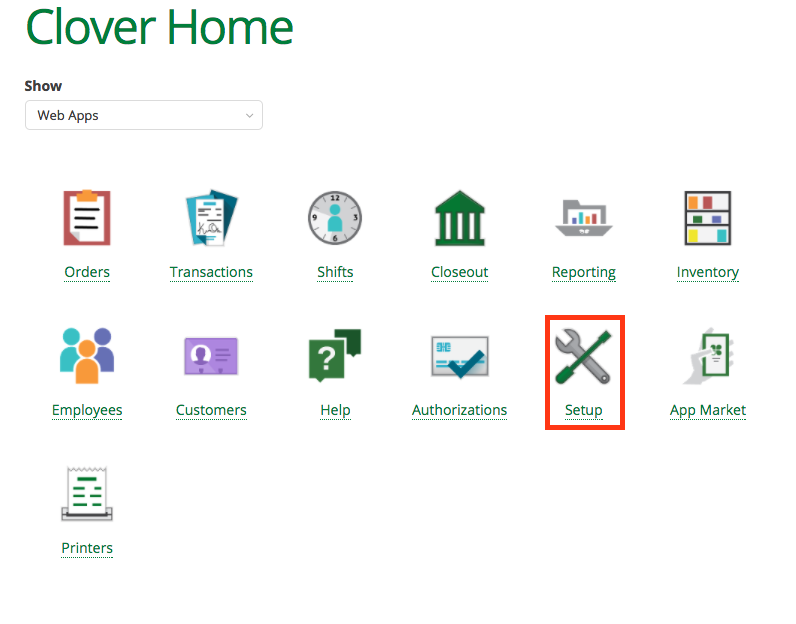 Use your login details to access Clover. On the 'Clover Home' page, click 'Setup'. Now click the 'API Tokens' tab on the left. On this page, you will need to generate your Token. In the 'Name' box, enter your business name, then click 'Generate Token'. A box will then appear where you can find your API Token. Please ensure that all permissions are ticked 'Read', as the integration will not work unless it has full permissions set. In the URL, you will find your Clover Merchant ID. Now enter these into the pop-up box that appeared when you clicked 'Authorize' within Deputy. These are the services available with this integration. When a new user is created into the system, it will automatically create the employee in Deputy. 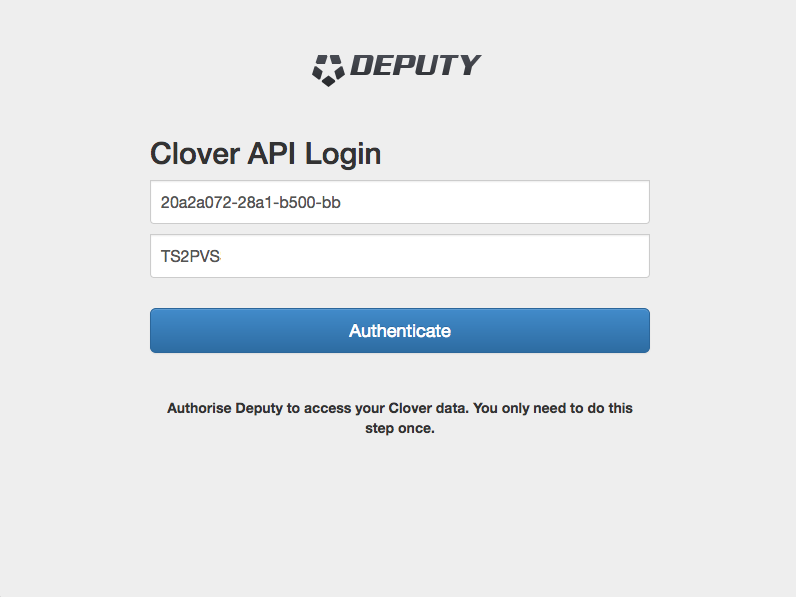 When a sale/order is entered into Clover, this integration will feed this data into Deputy to populate the Stats graph. This will assist in effective scheduling in relation to employee cost vs sales. When a new timesheet is created within Clover, the system will replicate this in Deputy, allowing you to approve and export timesheets with ease.